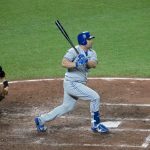 Home Analysis Where Will Josh Donaldson Finish Playing in 2018? 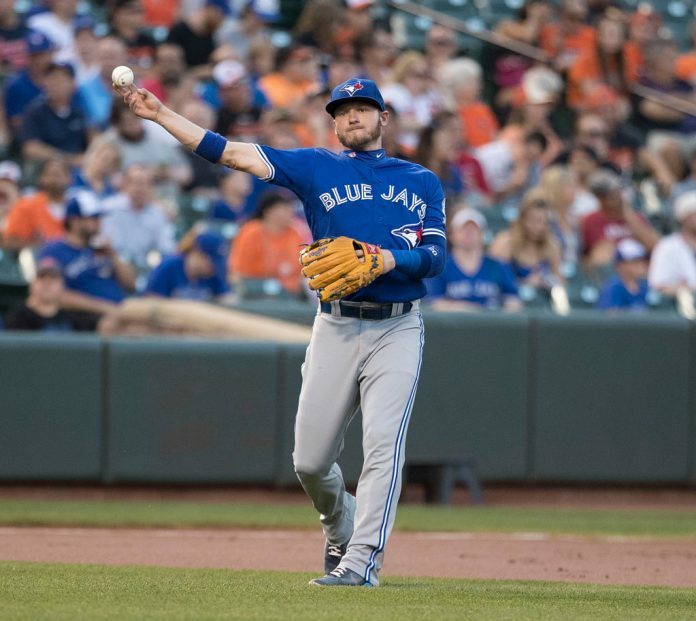 If Donaldson is healthy, the Jays will almost certainly move him by the trade deadline. Let's take a look at some possible destinations. Today, the Blue Jays got swept by a team with no starting pitchers. That’s a sentence I never thought I’d have to write, but here we are. The Tampa Bay Rays punted the 2018 season long ago. Recently, they went a step further and decided that piecing together a starting rotation was too much work. They even traded their closer. And yet the Jays still found a way to be the second best team on the field. Curses. 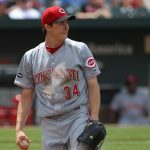 At 30-38 and with virtually no hope of squeaking into a Wild Card spot, let’s turn our attention to the trade deadline. Good news! The Jays have several pending free agents that might have some value to other teams. 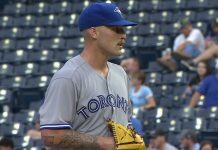 It never hurts to add prospects to the system and that’s likely the path GM Ross Atkins takes over the next month and a half. One such pending free agent is former MVP Josh Donaldson. Will his body cooperate? He needs to be healthy and hitting for a team to pay up. Let’s assume he is. The market for third basemen is thin, but if you squint hard enough you can find some potential suitors. 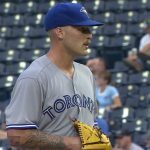 With the Jays out of the playoff race, Donaldson is worth very little to the team. Sure, they would be able to give him a Qualifying Offer in the offseason and recoup a compensatory draft pick after the first round if he signs elsewhere, but presumably they’d be able to find more in a trade before August. Offseason rumours swirled around the Cards showing interest in Donaldson but the Jays weren’t willing to give up on 2018. I felt like that was a sensible approach. I have also been known to be dead wrong. I was dead wrong. Luckily, the Cards still can, and should, add an infielder. Matt Carpenter can play third, second and first base. Jose Martinez should get the bulk of time at first. Kolten Wong can’t even remotely hit a baseball and should be a defensive replacement, which opens up second base for Carp. Jedd Gyorko is flirting with league average production and can have a part time role between third and shortstop. Third base would be Donaldson’s. The Cardinals won’t even entertain trading Alex Reyes, despite his season-ending injury. Nor would they move Carson Kelly, the future behind the plate. Tyler O’Neill got a cup of coffee last month and looked just as advertised. Lots of power, lots of strikeouts. Maybe he’s a Teoscar Hernandez clone, which isn’t nothing, but it’s hardly a big headlining piece for a former MVP third baseman. This is the reality for the Jays though. It’s not a great market and if they can acquire a prospect close to the majors with the upside of an everyday player, they should take it. The Cardinals have these types of pieces in their system. 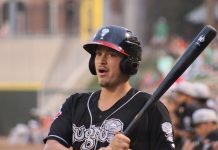 2B Max Schrock, OF Randy Arozarena and OF Oscar Mercado are all on the cusp. Or maybe it’s a pitcher – they have those too. 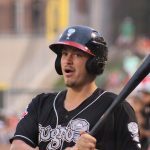 RHP Ryan Helsley, RHP Dakota Hudson are at Triple-A and LHP Austin Gomber just received his major league promotion. So from where I’m standing St. Louis looks like the most likely destination for JD. They’re in the thick of the AL Central race, which no one seems to be pulling away with yet, and have depth to part with. A less likely destination, as the Astros already have Alex Bregman entrenched at the hot corner. Donaldson would need to DH and that would mean moving Evan Gattis to another team or to the bench. Gattis has been on fire lately (.272/.322/.617 last 30 days) and it’s possible the Astros don’t feel pressured to upgrade there. They also have outfield prospect Kyle Tucker with a .826 OPS at Triple-A should they need to add a bat to the lineup. 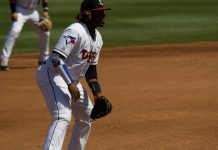 Would Donaldson play first base? He’s only played 18 career innings there but the Astros have gotten just 0.4 WAR from the position this year. That could be an option too, but why pay the price for a third baseman when cheaper 1B/DH types could be found? It wouldn’t be knock-your-socks-off type deal with Houston by any stretch of the imagination because they aren’t a desperate enough team. They don’t need Donaldson. But imagine adding him to that lineup? I’d feel pretty good about their chances against a Yankees’ staff in a 7-game ALCS series. Not Kyle Tucker. Not Forrest Whitley. Those are 60-grade prospects and Houston would be foolish to part with one for a rental player with injury risk. Yordan Alvarez and J.B. Bukauskas would almost certainly be off limits too. The Astros have a lot of talent in the system, and maybe a pitcher close to the majors like Rogelio Armenteros would be a fit. They have as deep a pitching staff as any team in the majors, but might prefer Armenteros stay and pitch out of the pen. Pitching prospects like Hector Perez, Jairo Solis or Corbin Martin are further away from the majors. 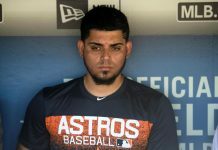 The Astros may prefer to move players not part of the immediate future. And with a higher risk attached to these low-minors prospects, perhaps the Jays could get two or three of them in a deal. The Phillies have surprised everyone and are realizing their potential a year sooner than expected. One player who has not realized his potential is Maikel Franco. Franco happens to be the Phils’ starting third baseman. At least he was until he was benched several times over the past week. J.P. Crawford has been playing third, but he’s a natural shortstop. Needless to say, Donaldson would be a big addition to a young team that’s hanging around in the division race. Speaking of strong systems, I would be happy with any player currently ranked in the Phillies top 10. Seranthony Dominguez, #9, has emerged as a weapon in the team’s bullpen, so scratch his name off the list. Scratch #1 through 4 off the list too (Sixto Sanchez, Adonis Medina, Adam Haseley and Mickey Moniak), and #7 Franklyn Kilome. They’re not going anywhere. So like Houston’s system, that leaves a bunch of talented but risky pitchers to choose from. Unlike Houston, Philadelphia has a need in the rotation. An upgrade on #5 starter Vince Velasquez is a more likely move than acquiring Donaldson. But if the Jays’ front office likes what they see in the Phillies’ low minors, maybe a deal can be swung. There is a bit of familiarity between the front offices. Blue Jays GM Ross Atkins was a finalist for the vacant Phillies job in 2015 under President Andy MacPhail. Long-time Jays executive Pat Gillick is also a special assistant. The Indians under Shapiro and/or Atkins, and the Angels while Matt Klentak (current Phillies GM) was Assistant GM there, were frequent trading partners – deals that included Mike Clevinger, Vinnie Pestano, David Murphy, Collin Cowgill, Austin Adams, J.B. Shuck and Nick Maronde. It’s possible they could find common ground again. Zack Cozart hit .297/.385/.548 in his breakout 2017 season. The Angels signed him to play third base but he’s hit just .219/.294/.362 in 57 games. They could be Wild Card contenders, and maybe even hang around the division race if things break right. With Shohei Ohtani injured (for a long time), Kole Calhoun‘s surprisingly awful season, and Albert Pujols not deserving an every day role, Donaldson would be a major addition to the lineup. You figure they have to do something to stay in the race, so why not have Donaldson hitting 3rd behind Trout? The Los Angeles system has improved over the last year but is still not in the upper echelon of clubs. Mike Trout is signed through 2020 and the Angels should do all they can to win before his contract is up. Whether that means parting with a toolsy outfielder-turned-second baseman like Jahmai Jones (#3), I don’t know. It’s unlikely they move significant arms given the constant barrage of pitchers heading to the disabled list. Like Jones, Brandon Marsh (#4) is in the low minors and should be able to get the Angels a good player as the headliner in a deal. Is that player Josh Donaldson? Maybe. But as a Jays fan I’d take Marsh, Jesus Castillo (#10, back-end-rotation ceiling), and Leonardo Rivas (#14, good plate discipline, projected utility infielder) for two months of Donaldson. In an instant. Would the Angels? Eh, I’m not so sure. The Jose Bautista experiment at third base didn’t last very long. 24 year old Johan Camargo has a limited ceiling at the plate. So a reunion with Alex Anthopoulos in Atlanta wouldn’t be out of the question for Donaldson. However, despite having the NL East’s best record at 39-28, most think the Nationals are still the team to beat. If regression comes and they end up playing in the Wild Card game (or missing the postseason entirely) making a deadline splash and subtracting from their impressive farm system may look foolish in hindsight. That said, Anthopoulos hasn’t been afraid to accelerate the timeline before. The Braves shouldn’t even have to dip into their top 10 to get a deal done. Touki Toussaint (#11) and Drew Waters (#18) would get it done for me. Maybe that’s too rich for ATL (Waters is laying waste to the South Atlantic League and Toussaint, while risky, has front-of-the-rotation upside). So maybe Bryse Wilson and Waters, you say? Fine. I’d take that. Wilson’s having big command problems this year at Double-A, but he doesn’t turn 21 until December and still has time to find himself as a future big league starter. These are my best guesses as to Donaldson’s destination with some potential trade pieces for us to dream on. 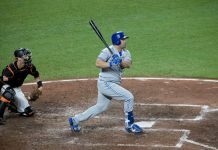 Of course another team could surprise and show interest (Boston Red Sox, anyone?) but I don’t see the market expanding much past this. And a couple of these teams feel like a stretch as-is. 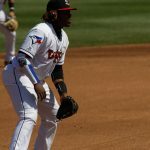 While the Donaldson era in Toronto is probably less than two months from its bittersweet conclusion, there is optimism on the horizon. The Jays should be focusing 2-to-4 years in the future at this point. And Donaldson might be their most valuable trade chip in quite some time. Hopefully they can turn him into part of the youth movement that’s very close to taking shape. It won’t be for a gigantic haul, but every bit helps when you’re building for the future.